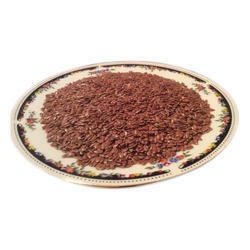 We are a leading Manufacturer of roasted linseed from Vadodara, India. Our organization set a unique position in the market by providing a wide gamut of Roasted Linseedthat is roasted using the latest processing machines. Our offered roasted seeds have rich fiber content that is beneficial for weight loss and body strength. Our prestigious clients can avail these seeds at pocket-friendly prices from us.